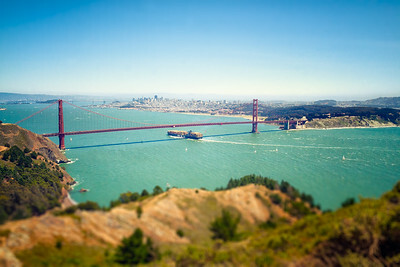 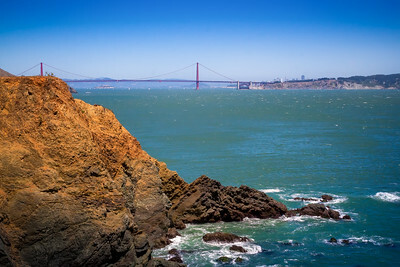 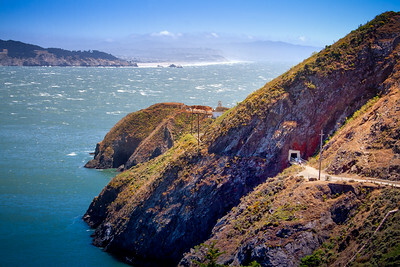 Along the trail to the Point Bonita Lighthouse is this awesome view of the Golden Gate Bridge. 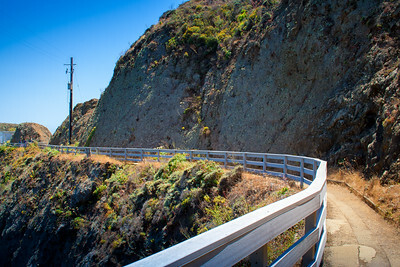 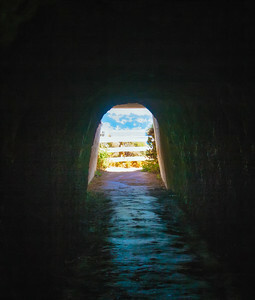 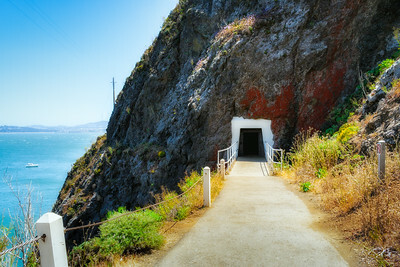 The path to the Point Bonita Lighthouse in Marin at the opening of the Golden Gate. 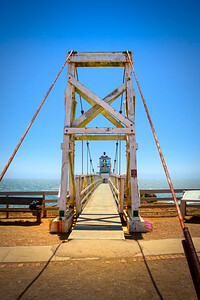 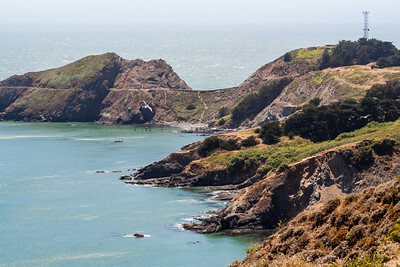 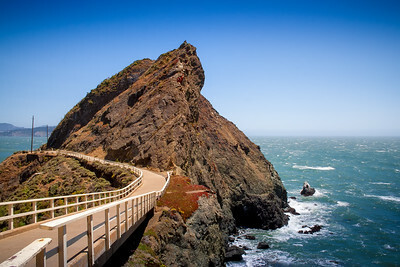 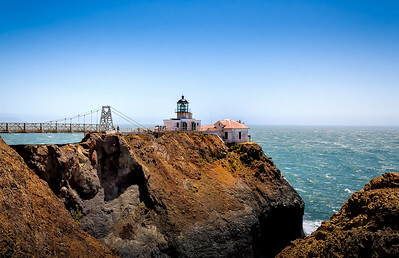 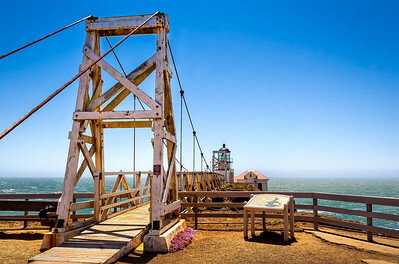 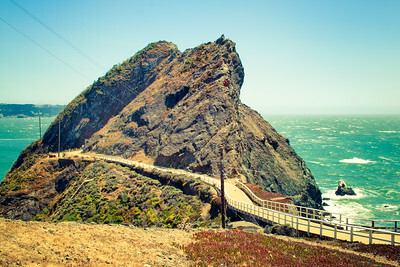 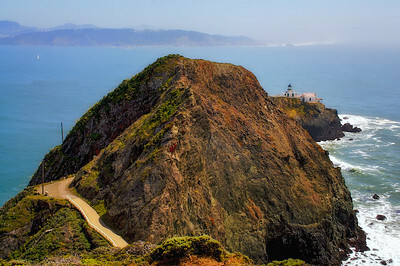 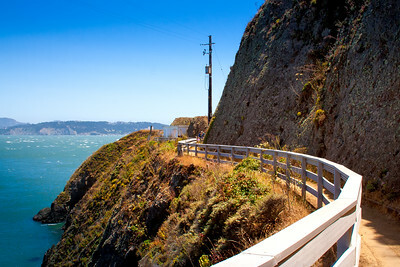 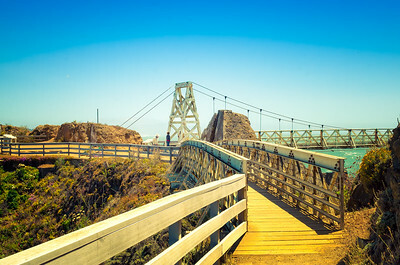 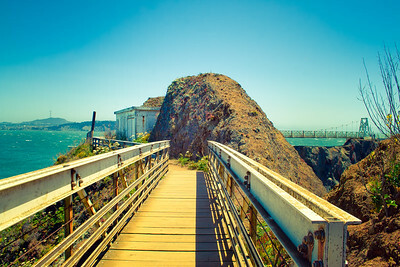 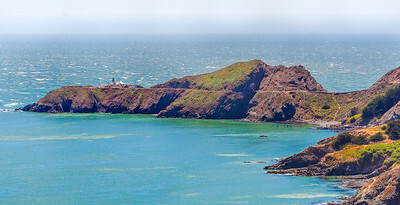 You need to cross this bridge to get to the suspension bridge that leads to the Point Bonita Lighthouse in Marin. 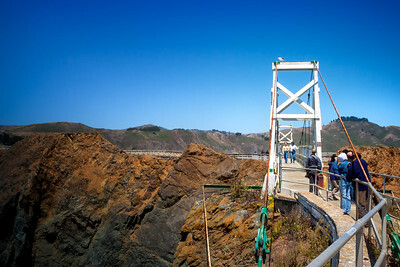 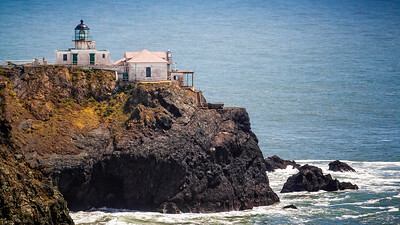 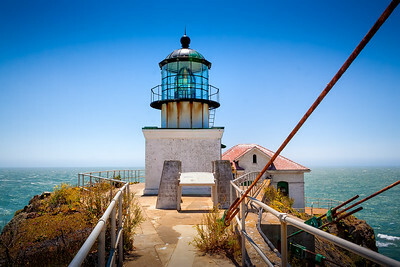 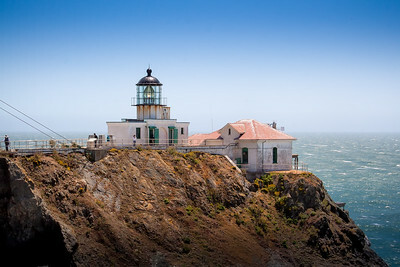 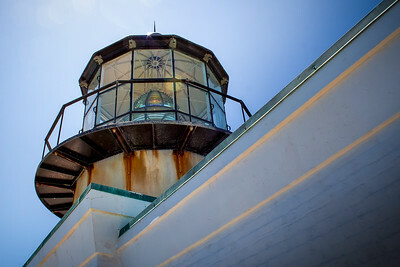 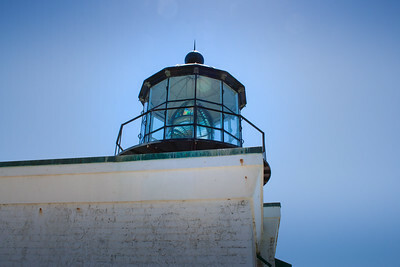 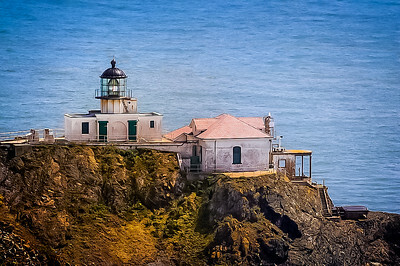 Just across the wooden bridge and standing in front of the Point Bonita Lighthouse in the Marin Headlands, guarding the entrance to the Golden Gate and San Francisco.